Try to use JoyCons on PC with reWASD 4.1, and learn more about updates! reWASD team keeps the hard work on more supported devices, and this is another brick in the wall. 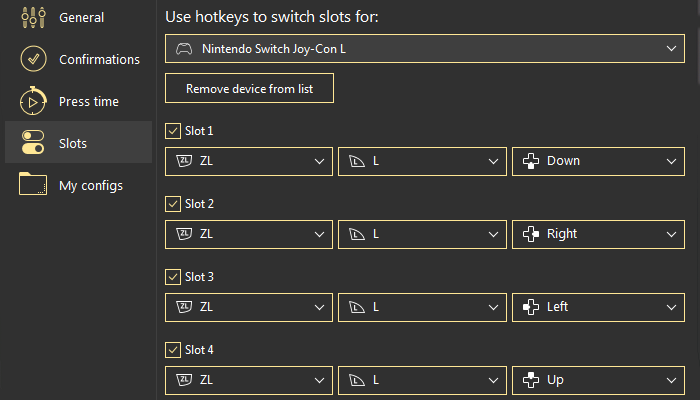 Now you can remap and use JoyCons on PC (both of them, or each one separately), and remap PowerA Enhanced Wireless controller. We keep collecting the information about the controllers you would like to use with reWASD. If your controller is not supported, feel free to leave a message for us. This feature was requested a long time ago, and now we’ve made it. You can add analog stick moves to the digital buttons, or to keycombos. You might wonder, what does that number in the entry field mean? You’ve probably already tried to use the Virtual controller, and now this experience will be even smoother. Or more aggressive. Or delayed. You know what I am talking about, don’t you? Change the Stick response curve for Virtual Xbox 360, and use a perfectly calibrated stick! Check out the blog post about calibrating the sticks to know more about the available settings. 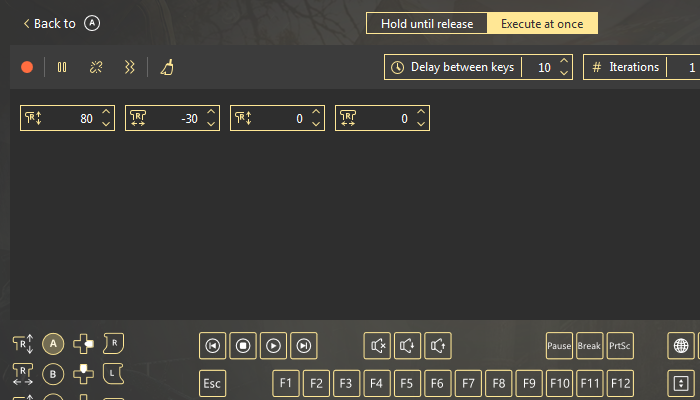 Basically, the title: now you can add different hotkeys for each slot for each controller separately. All you need to do is open Preferences, then go to the Slots tab, choose the device from the drop-down list and assign the hotkeys. If you want to delete the device from the list, pick it, and then press Remove device from the list. The second one melted my heart because it helps me a lot. If you often have a mess on your table, and it takes time to find the wireless (or even wired) controller — this is a perfect thing for you. Click on the controller icon in the bottom left corner to send a slight buzz to your gamepad. Voila, you’ve found it! And the new controller icons are a blessing as well, now you know exactly what icon you need to click to open the right gamepad. Hope this short guide helps you to get to know the new reWASD. If you have any questions, feel free to ask us here in comments below, via Facebook messages, reWASD Forum, or Discord Channel. And don't forget to follow our Pinterest page for more news!